While millions of people suffer from gum disease, few people understand it. 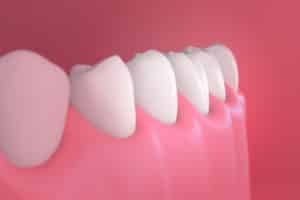 Knowing the factors behind gum disease, as well as the best ways to help prevent the disease, can protect your smile from the complications related to periodontal disease. Do you have questions about gum disease? Question: Can the disease be treated? Answer: There is no cure for gum disease. Now, gingivitis (gum inflammation) can be treated, but once the issue progresses into gum disease the problem can only be managed. Successful management of periodontal problems can protect your smile from adult tooth loss. Question: Will I lose my teeth? Answer: Once the disease reaches the advanced stage, known as periodontitis, the connective tissue between the teeth and gums can deteriorate, causing tooth loss. In addition, many medical and dental professionals understand that gum disease can be related to other inflammation-based issues, such as heart disease and diabetes. Question: Do my daily habits impact my risk of developing gum disease? Answer: Yes. If you smoke or use tobacco products, you can increase the severity of your inflammation or periodontal problems. In addition, poor brushing and flossing can allow plaque buildup to worsen, inflaming the gums and increasing the risk of developing the disease. Question: When should I see a periodontist? Answer: If you notice any changes to your gingival tissue you should see your periodontist. Bleeding gums, soreness, or redness in the gum tissue can be warning signs of inflammation. We can discuss ways to treat or manage your gum issues, protecting your smile and overall health from serious complications. If you have any questions about periodontal disease, including causes or treatment options, then please contact our office today.